Time Magazine has released their annual list of the world’s 100 most influential people. The list was first published in 1999, and has been released annually since 2004. It recognises the events that took place within the past year, and more importantly, the role that these people have played in said events. 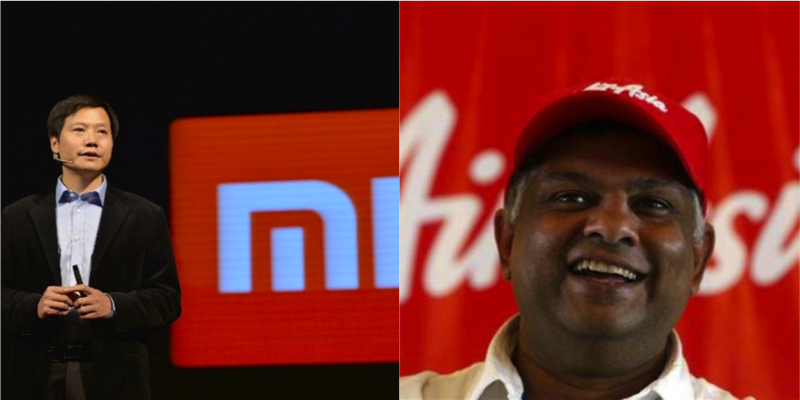 So it should come as no surpise that this year, the list includes two familiar faces: AirAsia’s Tony Fernandez, and Xiaomi’s Lei Jun. 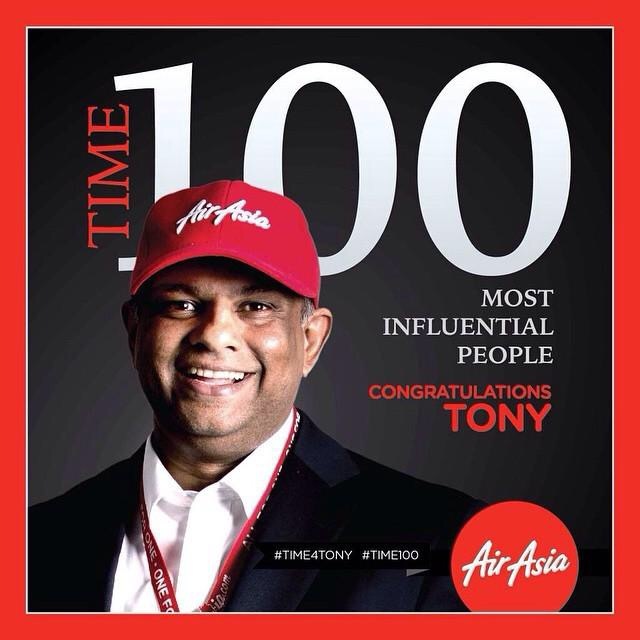 It’s not hard to see why these individuals have been included: after AirAsia Flight 8501 went missing, Tony Fernandez was recognized for his calm approach to crisis-management, leading his company and employees firmly through the madness that ensued. “It’s a tremendous honour to be included in TIME’S top 100 list — I was shocked when I first received the news but I am very proud and humbled. “This has been a challenging year but my entire career has been about challenges and with every obstacle, we learn and become even better. I believe we are making forward strides and I am excited about the future. This year will be about refocusing my attention on the core businesses starting with AirAsia. We are committed to strengthening our core proposition of providing the highest value product and further expanding our network across Asean and beyond. We have always been about serving the underserved, whether it be through our services and product or giving chances to our staff where we have pilots who used to be purchasing assistants, department heads who started as baggage handlers and flight attendants who used to be administrative assistants. My hope is that the work we do through AirAsia and Tune Group enables and inspires the next generation of ASEAN entrepreneurs and SME owners and propels them into success. Xiaomi, on the other hand, has grown from a startup in China to becoming one of the largest tech companies to be reckoned with. The brand just recently celebrated its 5th birthday with their annual Mi Festival Sale, breaking the a Guiness world record for the most mobile phones sold online in a day. As announced by Tech In Asia this morning, Xiaomi aims to grow the company into an “ecosystem empire”, starting with a commitment to invest in 100 more companies. 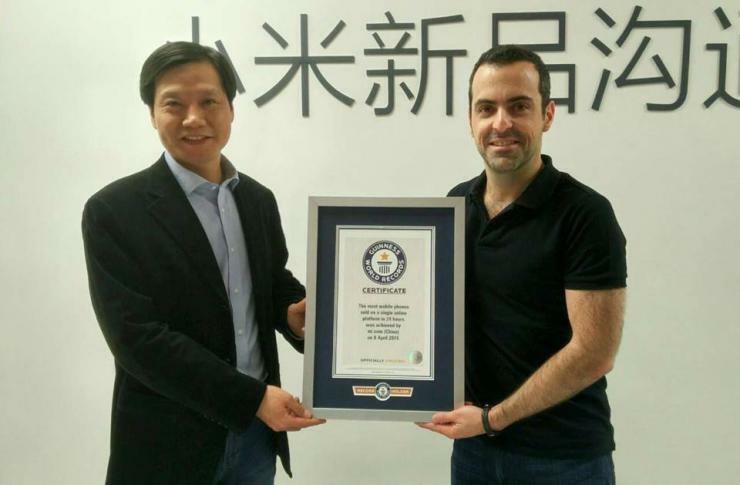 After another round of financing late last year, Xiaomi was valued at some $46 billion, earning Lei’s company the title of the world’s most valuable tech startup. It’s paid off for Lei, a multibillionaire who has become one of the richest people in China. But more important, Xiaomi is exactly the sort of disruptive tech company China needs as its economy tries to transition away from low-cost manufacturing. In Chinese, Xiaomi means “little rice.” Let the carb-loading begin. With these two leaders in Asia, it’s safe to say that we can expect amazing things in the region in the next year or so — and we’re at the ideal place to watch them happen.